Depending on your goal and what you are working for, this article should help to give you information about some supplements to increase fat loss that you may not have heard of! Hopefully you have been keeping up to date with my articles and have already read the article I published for creatine but there are some more supplements to implement into your diet programs that I would like you to try. Have you heard about L-carnitine before? You may have even seen it as an ingredient in popular energy drinks! I would like to set some common myths straight about L-carnitine and show how you can implement this supplement into your nutrition and supplement plans. But what IS L-carnitine, I hear you ask? L-carnitine is often categorized as an amino acid, however, technically it really isn’t. It is considered very similar to vitamins and amino acids and is related to B vitamins. When it was studied back in the 1980’s, L-carnitine was referred to as vitamin BT. L-carnitine is formed in the liver and kidneys from the amino acids lysine and methionine. However, it is stored elsewhere in the body, primarily in muscle. In the diet, it mainly comes from meat and other animal products. You can get some from plant products but as a general rule, meat is the best source and the redder the better! The most critical role that L-carnitine plays in the body is in helping to transport fat, particularly long-chain fatty acids, into the mitochondria of cells. Once there, they can be oxidized and used as fuel to generate adenosine triphosphate, or ATP. L-carnitine does this cellular work both when you exercise and rest, but research confirms that it is especially effective during intense exercise. I recommend clients that the best times to take L-carnitine is in the morning or pre-workout. The end result, is that when L-carnitine is taken correctly, it can be a very effective supplement when attempting to burn and strip more fat. L-carnitine can boost both your training and your physique and in the gym, it can mean more endurance and bigger pumps. Have you heard the age old myth that water helps with weight loss? It’s something that people hear often, but in reality, there is actually some truth behind it. 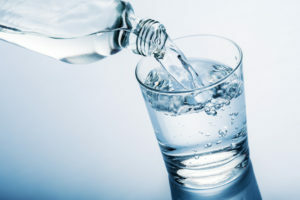 Consuming more water in your diet not only acts as an appetite suppressant, it also helps to boost your metabolism and cleanse your body of waste. It’s no secret that our bodies rely on water to survive, but people often take for granted the benefits water can provide for weight loss. Also, because water helps prevent muscle cramping and keeps your joints lubricated, you can work out harder for longer. On average, I tell my clients to drink 3 litres of water per day but this is even more crucial when you are also taking any of these supplements. Have you ever been curious about the correlation between caffeine and weight loss? Felt guilty for having that morning coffee? There have been many arguments throughout time that caffeine is bad for you. However, studies have shown that unless you’re pregnant or suffer from heart disease, you’re pretty safe to sit back and enjoy that morning cup of delicious coffee you’re craving. You may have noticed that caffeine is a staple ingredient in many weight loss pills and have heard people suggest that caffeine, if not over-indulged, can indeed help you to lose weight. Caffeine helps with weight loss and fat burning in two ways. Caffeine has been proven to help boost your metabolism. Ingesting caffeine jumpstarts the process of lipolysis, which is when your body releases free fatty acids into the bloodstream. This occurs when your body is breaking down your fat stores to convert it into energy. Simply put, caffeine helps to slightly boost your metabolism and therefore aid in weight loss. Similarly, as stated by those catchy ads, caffeine is known to give you that little extra boost to energy. At times, everyone is in need of a little help to find their energy, why not let caffeine help! Since caffeine is a stimulant it increases alertness and wards off drowsiness temporarily, which means that you can perform certain tasks for longer! Now, just a little point to note. If you’re thinking about using caffeine to help you with weight loss, please don’t ingest it in forms of high sugar and high calorie energy drinks as it will most likely hinder your attempts to lose weight and REMEMBER, everything in moderation! Remember to always take supplements in their recommended doses and if you are ever unsure, consult your training coach or a physician for more advice. Good luck on your journey to a slimmer, healthier you. Head on over to www.thetransformationpro.com to check out my training programs and personalised nutrition plans to see how I can help you reach your goals and get your dream body in the near future!